History rhymes. At the end of last month a boat exploded off Herald Island, lighting the sky & waking locals. In the same week 75 years earlier, an American plane on a secret mission crashed just off the island. The plane was flying Japanese & Thai women from NZ internment to freedom. 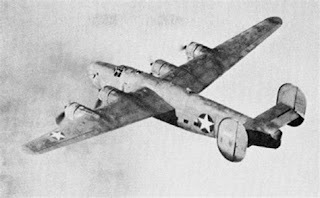 When they took off from Whenuapai airport, the pilot & crew of the Liberator Express were suffering that most serious mechanical problem, fatigue. They forgot to check their altimeter, & the wartime blackout & a storm meant they could steer by neither stars nor city lights. 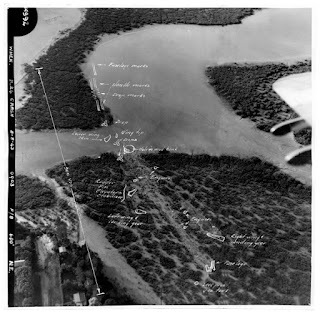 Some of the Japanese civilians died in the wreck of the Liberator; others waded through the Waitemata, towards Herald Island. Islanders saw fire, & heard shouting in the enemy's language, & decided that the invasion must have begun. They hid from the bleeding & burnt women. and the book is a big big failure...its a huge failure...no one is buying or reading it. its full of lies from this blogger, cannot do history to save his life. Get a real job man. stop drinking and beating your kids and put some food on the table. stop bludging off others. dont be fooled. This man has not written great history books. His booklet on Tonga is fake history. He has made up the whole story. the other book on the South Road is just hype to sell tourism. Nothing great there at all. full of fake facts to appeal to tourists. he is a con man and an internet troll. he is confessing to child abuse in his blog. Daddy got overexcited is short hand for daddy hit the kids when drunk as a skunk. he was very sorry when he got sober. he knows he has a drug and drink problem and what he writes if crap. you only need read one page to realise its rubbish.